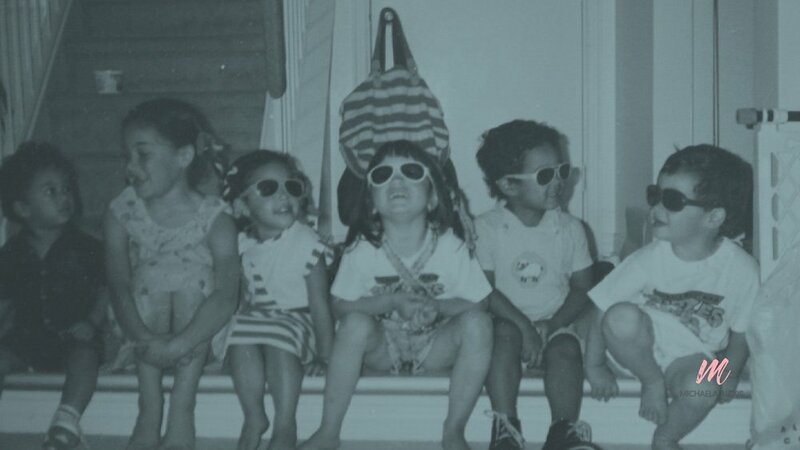 I still remember the exact moment that I felt that overwhelming yearning to just fit in. I was about 8 years old, and I was filling out a new patient form at a doctor’s office with my mom. I came across the ethnicity section, and I asked her what that meant. She explained it to me and I scratched my head, confused about which box to check since I’m biracial (my dad is black and from Trinidad). My mom took the form and checked the “other” box. But I had noticed that she had a “real” box. 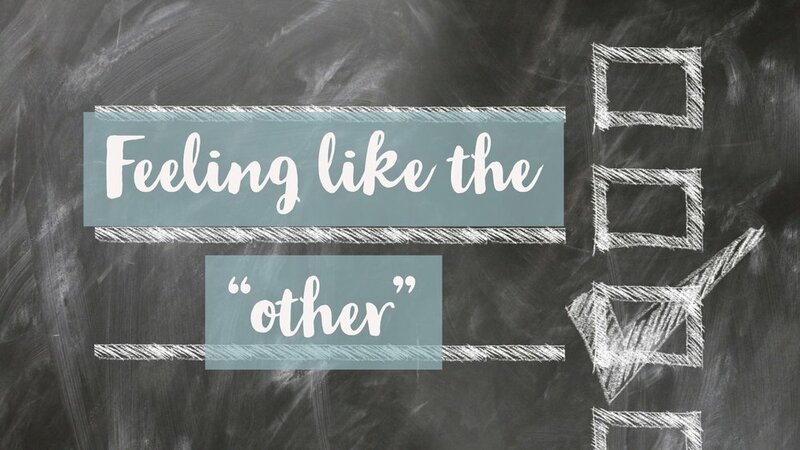 I hated being an “other”, and spent every moment until the day I broke free from Agoraphobia trying to squeeze myself into society’s “normal” categories. I started lying about the food I ate, and would tell friends that I had hot dogs for dinner instead of the curry chicken that I had actually eaten. When I started going through puberty, I would throw on layers of clothing in the middle of an Ottawa heatwave just so that my friends wouldn’t know that I had developed earlier than them. Throughout high school, I discovered a way to fit in AND something, unlike my race, that I COULD control, my eating habits. I battled anorexia for all of high school and into university. When I started at university, I had finally made it. I was the perfect weight, and I became obsessed with getting the perfect grades. When I interviewed for part time positions on campus, I would proudly proclaim that I was a perfectionist. Perfectionist. How many of us use that word without considering how destructive it can be to our self-worth? I thought being a perfectionist was a badge of honor, but what I found was that it became my mental imprisonment. If you struggle with anxiety, do you remember your first panic attack? For most people with anxiety, your first attack is as clear as other huge life milestones, because it changes your life forever. It’s the moment that you realize that the hardest battle that you may ever have to go through exists within your mind. And that is scary AS HELL. My first panic attack happened on campus. I was in a lecture hall, when suddenly, the coughs of students became magnified and I couldn’t even hear the professor with the loud sounds of typing around me. I started sweating profusely, my hands became numb, and I started trembling with chills. I was convinced that I was either dying or high. I didn’t want to stick around to find out which one I was, so I bolted out of the room and ran into the women’s washroom. I was terrified that I would experience another panic attack in public. I imagined people pointing and laughing when they realized that I wasn’t so perfect after all, in fact, I wasn’t even close. I wasn’t the social butterfly I pretended to be, I was a homebody introvert. I wasn’t naturally thin, I was starving myself. I was even taking classes and a major (legal studies) to impress people when I yearned for creative writing. The tension between who I actually was and who I thought I was supposed to be had become too much to bear. I felt like things were crumbling around me, and they were about to get much worse. Over the next year and a half, I developed Agoraphobia, which is an anxiety disorder characterized by symptoms of anxiety in situations where the person perceives the environment to be unsafe with no easy way to get away. These situations can include open spaces, public transit, shopping malls, or simply being outside the home. For me, Agoraphobia became my personal hell, and also, oddly enough, the illness that would transform my life forever. Over the year and a half that I battled the disorder, I ended up quitting my job, and lost all hope of social life. I couldn’t eat in public. I tried going to vacation with my family and spent 90% of the time in my hotel room, furious at myself. I dreamed of going to the movie theater, but couldn’t even make it more than one stop on the bus. But the worst part wasn’t being bound to my home, it was the embarrassment. How could I tell my friends that I couldn’t hang out because of my imaginary illness? The cycle of guilt and embarrassment just fed my anxiety even more. By now, you're probably wondering how I went from petrified hermit to a public speaker and social media butterfly. Well, to be frank, I stopped giving a damn. I had spent two weeks studying for an exam, and I had to write the exam on campus. I was only one stop away from campus when a panic attack starting taking over me. I looked around the train at the faces of passengers and surrendered. I didn’t care if I took that exam while hyperventilating. If I started trembling on that train surrounded by strangers, so be it. I had reached my limit. I was flawed, yes, but my flaws hadn’t been tormenting me for over a year, my FEARS had. And I was done being scared of not meeting other people’s expectations. This was my exam, my life, and I was finally taking it back. There are moments in your life, where you’re faced with two decisions: retreat into comfort, or march into uncharted territory. For me, it became a decision to choose to finally live fully, with my many imperfections, instead of barely surviving life. Here are five lessons I learned while trapped in my home. People often ask how I’m so optimistic and peppy. Well A) COFFEE! But also, we tend to take the small things for granted. Do you know how truly happy it makes me to do things that make me break out in nervous hives? I feel gratitude for scary moments, because at one point in my life, overcoming them just wasn’t a possibility. I smile during commutes (mostly) because every single ride somewhere used to be a mental battle. I dance in my office, in the midst of a stressful day, because I refuse to waste opportunities to smile. I just came back from Costa Rica, and I couldn’t help but notice the similarities between anxiety and the weather in Costa Rica. Some people wait for perfectly sunny days, but to live happily despite having anxiety, you need to be willing to do cartwheels on the beach in the midst of a sun shower, because life is still beautiful, even when it’s a little messy. I spent 27 years following a blueprint for a life that didn’t belong to me. I wish I could tell you that I live for networking events, putting on a full face of makeup, and I love waking up at the crack of dawn. But that’s just NOT me and never will. Happiness, for me, is sleeping in on Sundays, cuddling my puppies, and reading books in the wilderness. Similarly, success, for me, isn’t about the square footage of your office or the number of zeros in your bank balance. It’s about having a life where creating, playing, and giving is just as much of a priority as winning. Agoraphobia taught me that most of my anxiety can be controlled just by living in alignment with my values, beliefs, and ambitions. If you don’t design the life you want, the world will do it for you. If you let it, anxiety will become the pilot of your life. It certainly did for me. And it was a crappy ride. Anxiety feeds off shame, guilt, and fear, but you can learn to thrive if you share your story. Open up. Talk to friends and your family. Sharing my battle has not nothing but bring me wonderful new friends and a supportive community. If you treat your mental health challenges like a deep dark secret, you’ll forever live in its shadow. 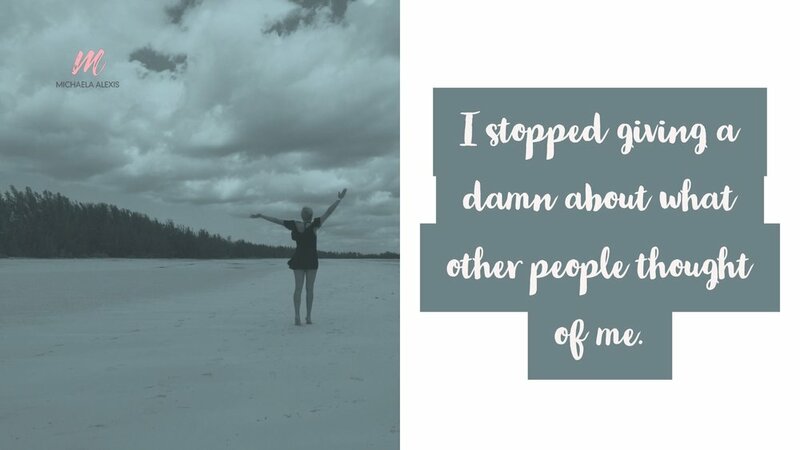 Being transparent with the people closest to me has strengthen those relationships, and made those around me more open and honest with me about their own battles. 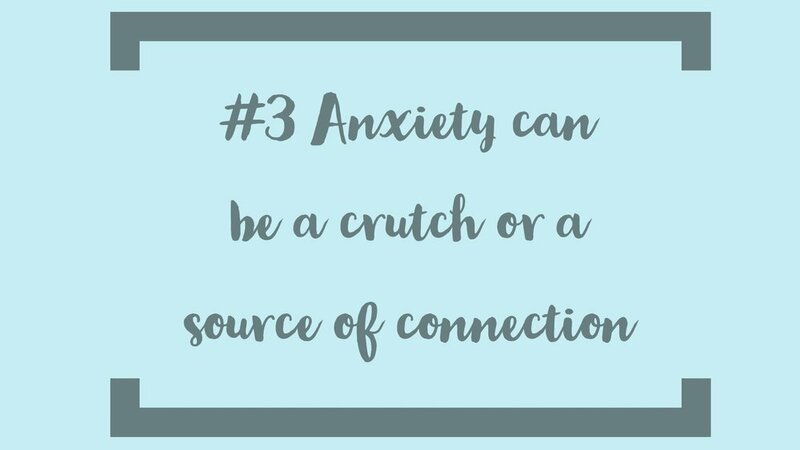 It’s no surprise that anxiety has been such a topic recently, how can it not be right now? We’re constantly surrounded by people that are killing it in their career, have the perfect families, and seem to wake up looking like supermodels. Right? Don’t focus on being the best, focus on being authentically you. Volunteering and giving back has been one of the most effective treatments for my anxiety. Focus on sharing your flaws, you’ll discover a lovely imperfect tribe that loves you for who you actually are. 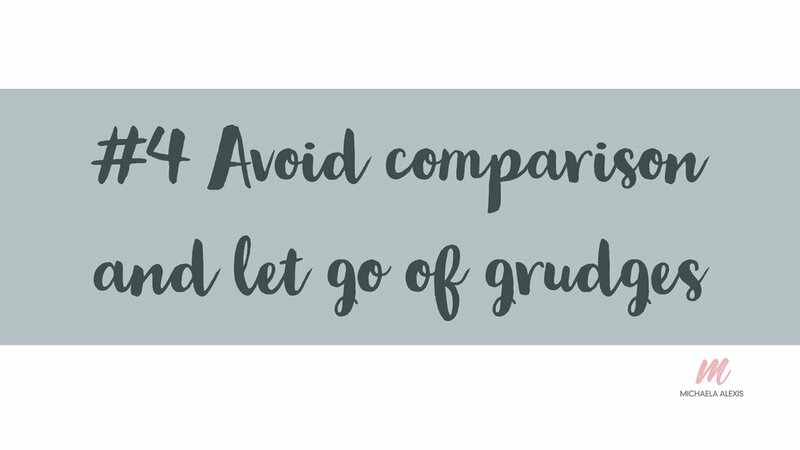 Holding onto grudges will also poison your soul. Stop dwelling on the things that you can’t change. Sitting in bed at 2 am replaying the same dumb thing that something said to you is only going to rob you of precious sleep. I wish that everybody was kind, and generous, and loving, but that just isn’t the reality. Focusing on changing other people is the most frustrating game you can play. Focus on something you can nurture, your own happiness. To this day, I schedule three days after a vacation or work trip to recover. Why? Even though I am no longer fully Agoraphobic, I still need time to unwind after being cramped beside other humans and bumping into large crowds in airports. And that is OK. I used to put myself down whenever I didn’t fit my ideals. Whenever I failed, I felt like a failure. The secret to success, for me, has been moving away from the idea that who I am is dependent on how the world sees me. If you’re sitting there, thinking that maybe you’ll be happy when __________, you’re in trouble. True happiness doesn’t depend on a title, position, salary, or weight. It starts with you, ALL of you, the good, the bad, and the anxious. 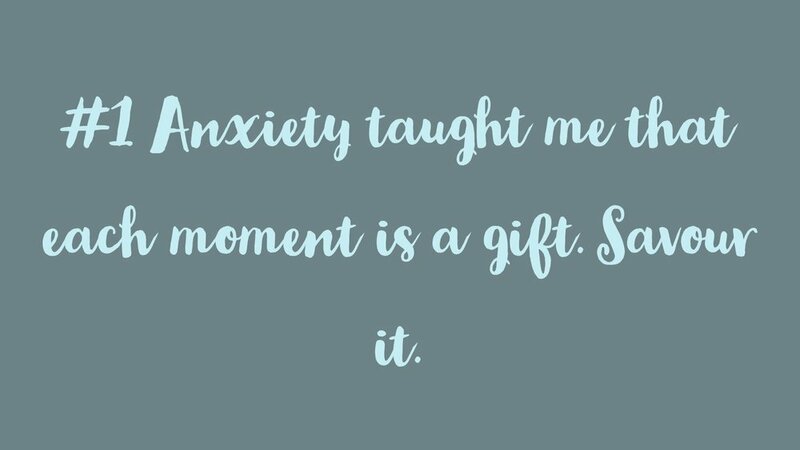 Your anxiety isn’t a thing that makes you incapable or unworthy, it makes you human, and that’s something to be celebrated everyday. Anxiety makes for a tougher swim, but it will only sink you if you let it. Thanks for reading my story. I'd love to hear from you, and your experience with anxiety. If you're a fellow warrior, comment below! Know somebody struggling with anxiety? I would so appreciate it if you'd share this article with them!